Most retirees in the U.S. have been hoping they would finally get a meaningful increase in their Social Security checks in 2018. Over the past few years, most retirees have seen such small cost-of-living increases in their Social Security that the benefit was eaten up by rising Medicare premiums and other expenses. Unfortunately, for the vast majority of retirees, this year will be no different. The Social Security Administration recently announced the COLA for 2018 will be 2 percent. For someone receiving $2600 in Social Security benefits (near the top of the range), this will amount to $52 a month, bringing their total benefit to $2652. However, as you will see in the details below, beneficiaries will not be able to keep all of that increase. 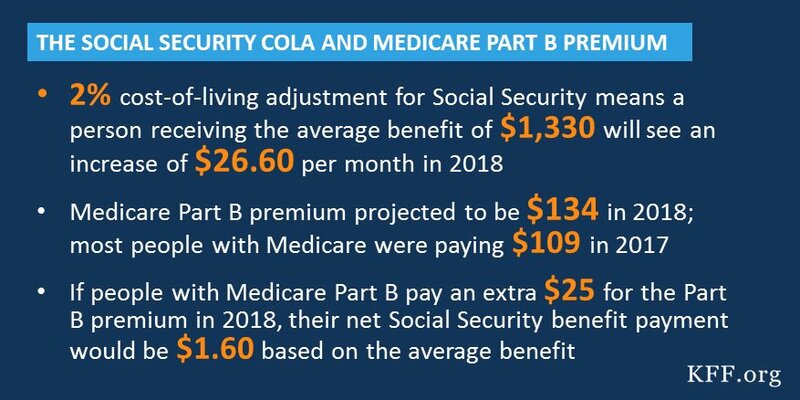 For someone currently receiving the average benefit of $1330 a month, their COLA will amount to approximately $26.60, raising their monthly benefit to $1356.60. Unfortunately, typical beneficiaries will only be able to keep a tiny portion of that increase. While receiving any increase in income sounds positive, the truth is that most retirees should not expect to see a meaningful net increase in their Social Security benefits in 2018. This is because the amount which will be deducted for Medicare premiums is expected to rise to $134 a month. Many current Medicare beneficiaries only pay between $109 to $112 a month. If your Social Security benefit is so low that deducting $134 a month would actually reduce the size of your current benefit check, then the Medicare premium will be adjusted so you will not pay the full amount until your Social Security benefit is high enough in the future to absorb the full $134, and that is assuming Medicare premiums do not rise more in future years. You could also have a larger increase in your Medicare premiums for another reason, and that is if your income went up significantly last year. 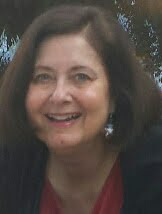 Sudden increases in retirement income, because of an unusually large IRA withdrawal or windfall, can cause your Medicare premiums to increase dramatically and retirees should consult their tax attorney and take into consideration all of the financial consequences of a large IRA withdrawal or income increase. 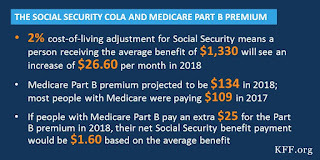 However, the Medicare premium increase should only apply to the year following the increase in income, unless it is permanent or continues for several years. This will only apply, however, to people who have a very large increase in their retirement income. Obviously, the exact amount you will receive in your 2018 checks will depend on what you currently receive and whether or not you have your Medicare deducted from your Social Security benefits. (About 30 percent of beneficiaries do not have Medicare deducted from Social Security, either because they participate in a public employees pension plan instead of Social Security or because they have delayed collecting their Social Security benefits). However, it is important to note that no matter how much Social Security you currently receive, your 2 percent COLA is likely to be much less significant than what you probably hoped to receive in 2018. If you have a high income, which is defined as $85,000 for an individual or $170,000 for a couple, your Medicare premium will be even higher than $134. You can get more details about how things will change in 2018 at medicareresources.org. In addition to higher Medicare premiums, beneficiaries may also pay higher Medicare co-pays and drug prices, depending on their plan. Annual maximum out-of-pocket expenses could rise for some beneficiaries, as well. Check your Evidence of Coverage schedule from your plan administrator to see how you will be affected. If you have a Medigap plan, you could also pay higher premiums for your extra insurance, depending on your specific plan and insurance carrier. The bottom line is that most Social Security recipients will continue to see their net income fall behind the rate of inflation, since any small amount they may receive is unlikely to be enough to offset the higher cost of food, utilities, automobile fuel and other necessities in 2018. Once again, Social Security recipients should expect to do more belt tightening. If you are interested in learning more about Social Security, Medicare, financial planning, where to retire, common medical issues and more, use the tabs or pull down menu at the top of the page to find links to hundreds of additional helpful articles. Watch for my book, Retirement Awareness: 10 Steps to a Comfortable Retirement, due to be released by Griffin Publishing in 2018.